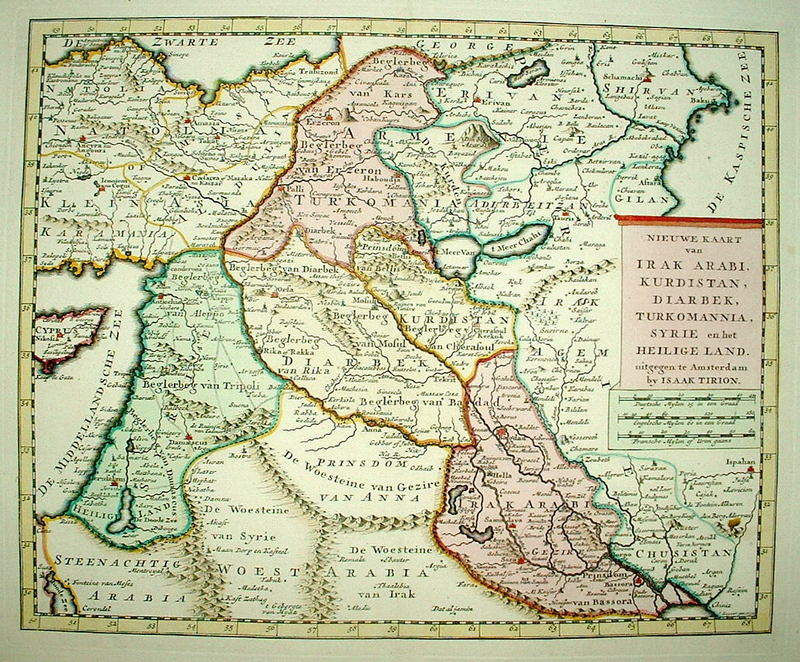 NIEUWE KAART van IRAK ARABI, KURDISTAN, DIARBEK, TURKOMANNIA, SYRIE en het HEILIGE LAND. 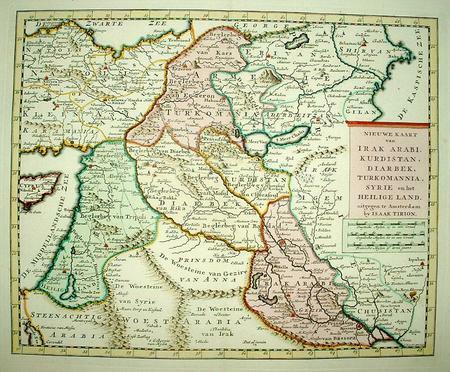 Map of the Middle East. At the right a frame with the title and publisher's impressum inside, and line-scales under it. Or. col. copper-engraving, published in Amsterdam by Isaak Tirion. Engraver: J. Keizer, 1732.